Paper - Karen Neuburger - Floral ( a bargain at £2.50 for 19 sheets in Canada last year) The papers are so delicate and beautiful it's taken me 10 months to start using them. Lots of Stickles glue (diamond) around the edges and stitching. Finally cluster gems from Crystal Stickers. Wow! This is so beautiful. I love the pearls and your amazing coloring! 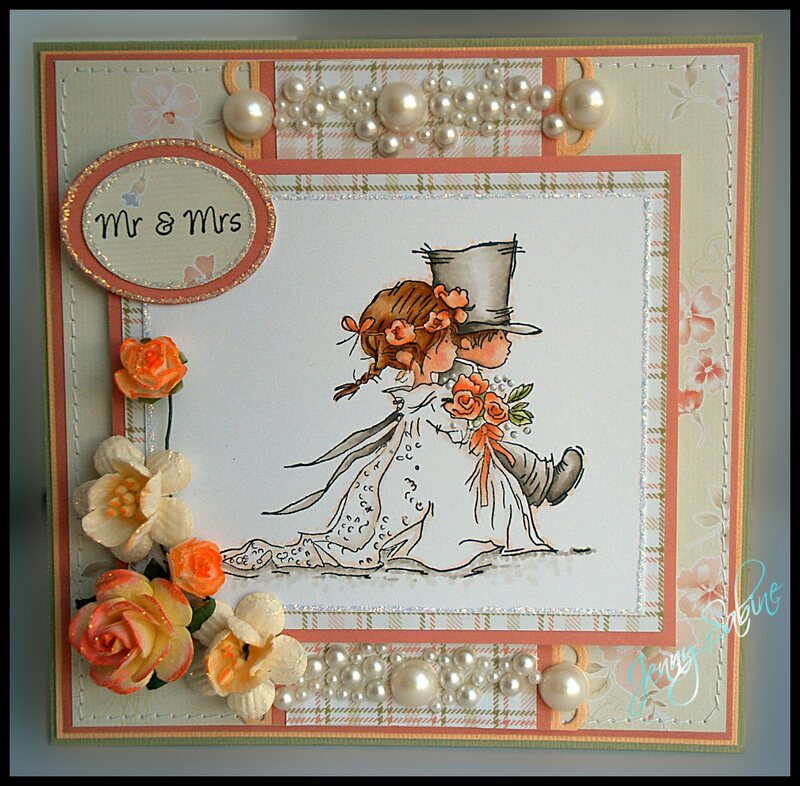 Wonderful take on our peach and green challenge Jenny, such a sweet image coloured so beautifully, gorgeous papers, awesome pearl and pretty floral detail. Thank you for joining us at Lili of the Valley. I love your little cute couple! 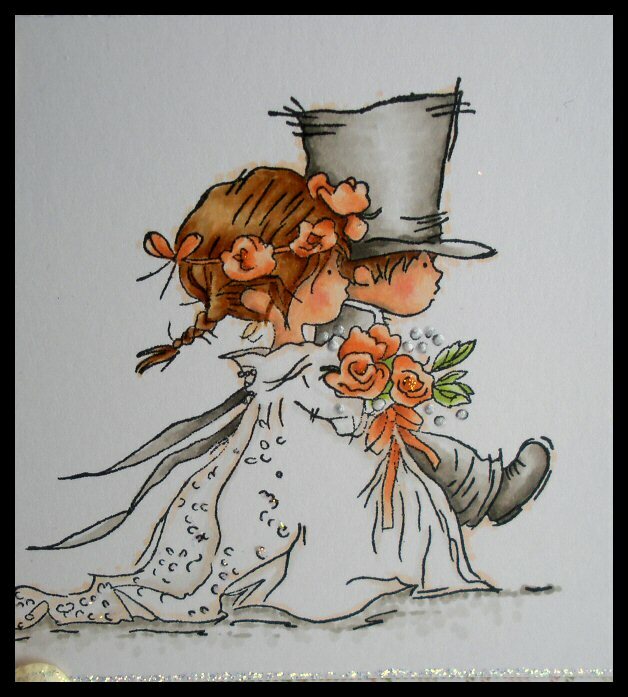 You have coloured the image beautifully! Thanks for joining Charisma cardz this week. wow wow wow, this is stunning and you have used my all time favorite LOTV weddding image.Goodluck at Charisma this week. Love the way you used those pearls!! Thanks so much for playing along with My Partner in Crafting Crime's 'layer it up' challenge! Good luck with the extra draws! 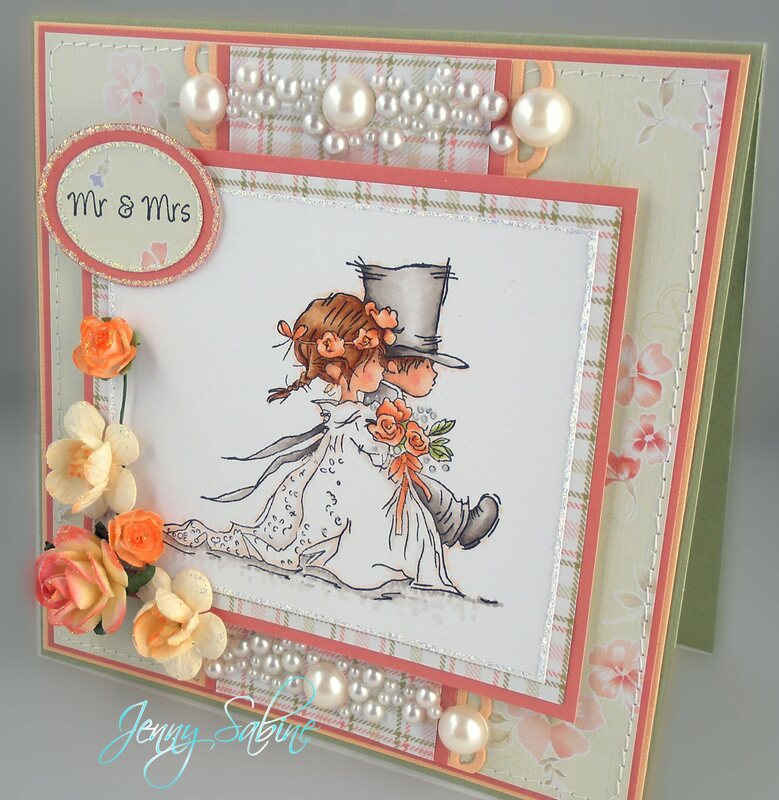 I love your card and would like to order a copy of it online - the image is great, and we were wondering what options we have as far as getting a copy of it is concerned. Also, if you know any other way I can order this card online, please let me know! Thanks and waiting for your response.